Interlink Continental Journal Of Agriculture and Food Science (ICJAFS) provides rapid publication (monthly) of articles in all areas of the subject. Interlink Continental Journal Of Agriculture and Food Science (ICJAFS) publishes original scientific articles, reviews, short communications case study etc that are not under consideration for publication elsewhere. Further correspondence and proofs will be sent to the corresponding author(s) before publication unless otherwise indicated. It is a condition for submission of a paper that the authors permit editing of the paper for readability. All enquiries concerning the publication of accepted papers should be addressed to: icjafs@transconpublishers.org, icjafs@icjpublishers.org. Submit manuscripts as e-mail attachment to the editorial office at: icjafs@transconpublishers.org, icjafs@icjpublishers.org. A manuscript number will be mailed to the corresponding author same day or within 48hours. The cover letter should include the corresponding author's full address and telephone/fax numbers and should be in an e-mail message sent to the editor, with the file, whose name should begin with the first author's surname, as an attachment. The author(s) may also suggest two to four reviewers for the manuscript (ICJAFS may designate other reviewers). Interlink Continental Journal of Agriculture and Food Science (ICJAFS) will only accept manuscripts submitted as e-mail attachments. All manuscripts are reviewed by an editor and members of the editorial board or qualified outside reviewers. Decisions will be made as rapidly as possible, and the journal strives to return reviewers’ comments to authors within two (2) weeks. The editorial board will re-review manuscripts that are accepted pending revision. The Editorial Board decides acceptance or rejection of a paper, and appeals are not accepted. 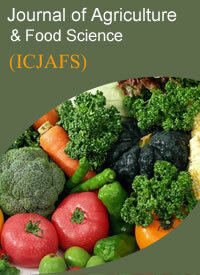 It is the goal of the (ICJAFS) to publish manuscripts within four (4) weeks after submission. Electronic proofs will be sent (e-mail attachment) to the corresponding author as a PDF file. Page proofs are considered to be the final version of the manuscript. With the exception of typographical or minor clerical errors, no changes will be made in the manuscript at the proof stage. Because the journal will be publish freely online to attract a wide audience), authors will have free electronic access to the full text (in PDF) of the article. Authors can freely download the PDF file from which they can print unlimited copies of their articles. Authors are required to pay a $500 processing fee. Publication of an article in the Interlink Journal of Agriculture and Food Science (WJAFS) is not contingent upon the author's ability to pay the charges. Neither is acceptance to pay the processing fee a guarantee that the paper will be accepted for publication. Authors may still request (in advance) that the editorial office waive some of the processing fee under special circumstances.